Location and comfort were both nice. I would add that the entire staff were as intelligent, helpful and personable as any in Europe. Whoever is hiring is finding great people, well done ! Small but perfectly formed room. Clean, comfy, would stay here again. Bathroom really lovely. Good location, clean facilities/rooms/breakfast room, friendly and helpful staff. The reception manager is great, she helped me a lot as I made a terrible mistake by reserving wrong date, she helped and I will stay again at this hotel once I’m in Milan again. The room was clean and tidy. 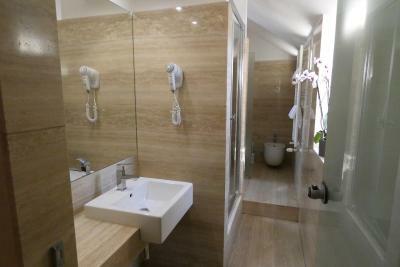 The staff were nice and helpful.The location was great near tram and metro station. Restaurant and Supermarket was so close. The Filipino front desk is very helpful and accommodating. Eurohotel This rating is a reflection of how the property compares to the industry standard when it comes to price, facilities and services available. It's based on a self-evaluation by the property. Use this rating to help choose your stay! 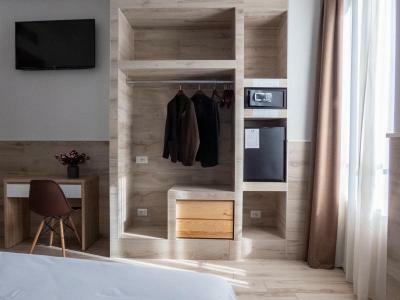 One of our top picks in Milan.Eurohotel is located in the district of Porta Venezia, in the heart of Milan and just 10 minutes' walk from Via Montenapoleone. It is set in an Art Nouveau building, which dates back to the 1920s, and is located in a quiet street. Wi-Fi is free. Rooms are all air conditioned and come with a satellite flat-screen TV, mini-bar and laptop safe. The private bathroom includes a hairdryer. Both American and continental breakfast options are available, enjoyed in the garden in fine weather. Guests have access to a free fitness room or enjoy with an extra charge a wellness area with a sauna, a relax room and spa showers. 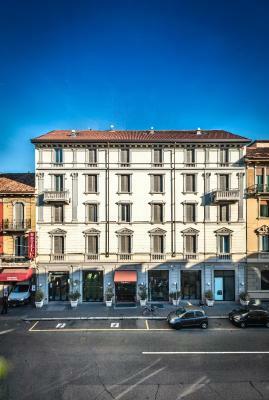 Staff can help you organize your stay in Milan. They can book events and provide information on the best restaurants and night clubs. 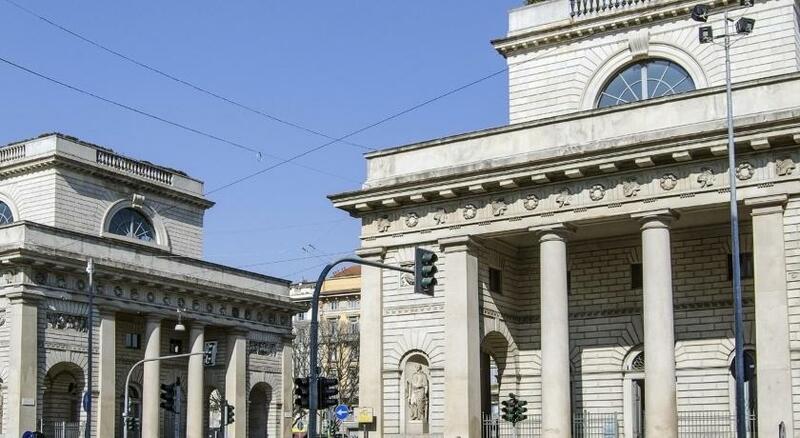 Porta Venezia Metro is 800 feet away and is 3 stops from Milan Central Station with links to Expo 2015 Exhibition Center as well as Malpensa Airport. When would you like to stay at Eurohotel? 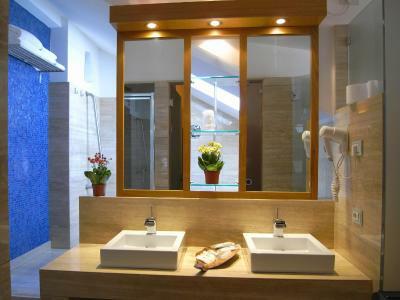 Air-conditioned room with free Wi-Fi, a 32-inch satellite LCD TV, mini-bar, and private bathroom. 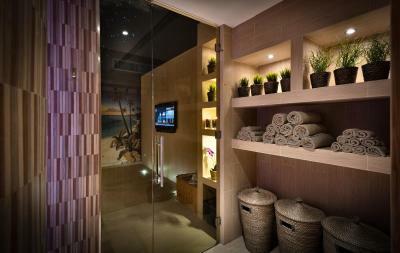 Air-conditioned room with free Wi-Fi, a 32-inch satellite LCD TV, minibar, and private bathroom. With an extra-comfortable mattress, wood floors, Indian-style furniture, and marble bathroom. 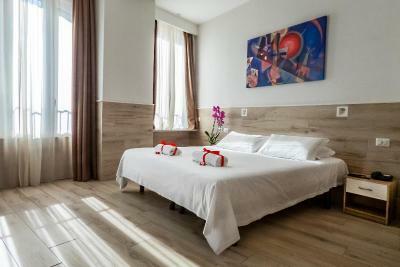 All rooms include free Wi-Fi and a 32-inch LCD TV with satellite channels. With an extra-comfortable mattress, hardwood floors, Indian-style furniture, and marble bathroom. All rooms have free Wi-Fi and a 32-inch LCD TV with satellite channels. With a hot tub in the bathroom, this spacious studio features air conditioning, a 42-inch flat-screen satellite TV and a kitchenette. It can fit an extra bed. 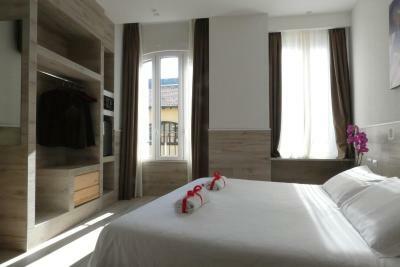 This twin/double room has a tile/marble floor, soundproofing and air conditioning. 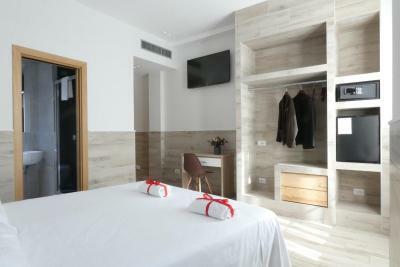 Eurohotel is the only 3 star hotel in downtown Milan, with a free fitness room and a newly opened Wellness Area with sauna, relax room and spa shower. From here you can reach all central districts and landmarks either by foot or by public transport. House Rules Eurohotel takes special requests – add in the next step! ATM card Eurohotel accepts these cards and reserves the right to temporarily hold an amount prior to arrival. Eurohotel accepts these cards and reserves the right to temporarily hold an amount prior to arrival. 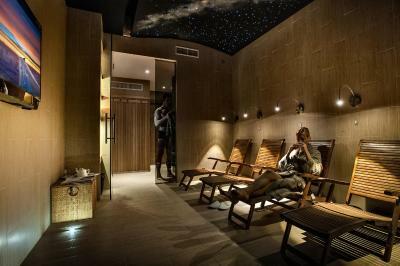 Please note that the access to the spa costs extra EUR 20 per person per 1 hour. Any other person in the same group will pay 10 EUR per access per hour. 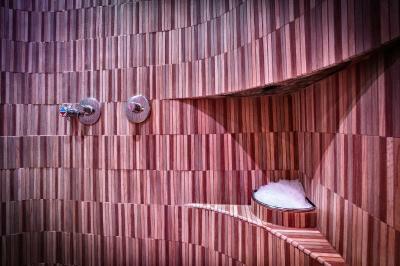 The spa area is open daily from 09:00 to 21:00. The free fitness center is open from 07:30 to 22:30. Please note that the spa comes at a surcharge. Nice and friendly staff at reception! There was a lot noise coming from the streets and hallways/other rooms. The staff was very friendly and helpful, the room was tidy and clean. The hotel isn't properly insolated, so you hear everything from the rooms next to you. Additionally, there was some construction on the balcony my room was looking onto. 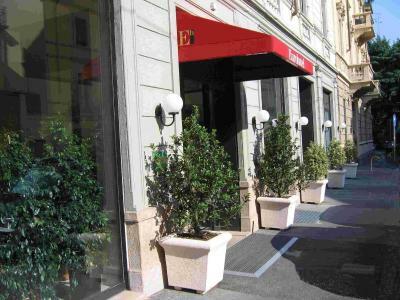 The hotel is clean, in a very good location (15-20 minutes walk from main attractions) just around the corner from Porta Venezia and the staff is very friendly and helpful. Bathroom clogs and no shower door hence water all over the floor ( bathroom needs some TLC) Balcony door wouldn’t close properly hence all noice from traffic could be heard Pillows quite thin. 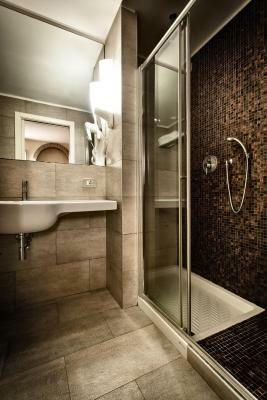 Location 20mins walk to Duomo , close to train station. The staff at the reception very helpful. Very good location, helpful staff. Breakfast was good. Consider renovating the room. Confusing parking information on Booking page. Staff. The receptionist really efficient and knowledgeable. Really helpful. Sadly I forgot to take her name. She's really friendly. Hope to see you guys again soon. Location. Super helpful and friendly stuff. Very good location: quiet but at the same time it's in a center. Perfect place for those who likes walking. Very comfortable to reach all points of interest. Breakfast were standard as in most hotels , It was ok for us. Our room was always well cleaned. In general - we would come back to this hotel in future. Bed was not very comfortable. Room was too hot. Very nice location, very helpful and friendly staff, excellent condition.